Connect Google Analytics to your landing by adding by adding your Google Analytics Tracking ID. 1. 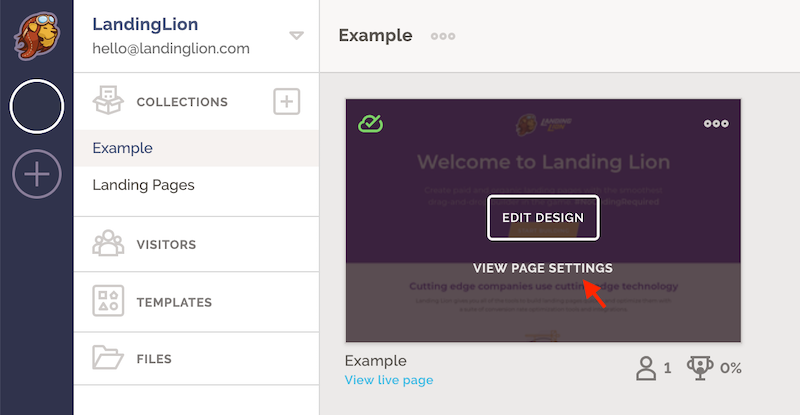 Go to "Page Settings" in your landing page and click on the "Integrations" tab. 2. Find the Google Analytics integration and click the switch to turn it on. 3. In the Google Analytics integration box, enter your Tracking ID. For help finding your ID, visit Google's documentation. You’ve successfully added Google Analytics to your page! Additional notes: To verify that the tracking code is working properly on your page use this tool.